Gallatin Solid Waste Management District and the City of Bozeman will host the county’s first Fix-It Clinic on May 6, between 10am and 2pm. All county residents are encouraged to stop by the county fairgrounds with clothing and household items in need of minor repairs. Volunteer coaches will assist residents in keeping their valuable possessions out of the landfill and possibly even learn new skills. We have confirmed help from The Bozeman Makerspace, The Bozeman Bike Kitchen, The Green Darner, Owenhouse ACE Hardware, and several individual volunteers. Logan, MT – Gallatin Solid Waste Management District (GSWMD) is gearing up to host their 7th annual free electronic waste collection event on Saturday, April 22 at Logan Landfill. The normal fee to recycle e-waste will be waived for this event in celebration of Earth Day, and collected material will be sent to Helena Industries’ Big Sky E-Recycling program in Helena, MT. This event comes just after launching a new one-year trial partnership with Helena Industries in January, estimated to create four new employment and training opportunities for the Montana nonprofit, which provides vocational and rehabilitative opportunities to empower people with disabilities. Representatives of GSWMD and Helena Industries will be working together to unload vehicles and prepare the material to be recycled as scrap or refurbished and resold. Since 2010 the District has collected 706 tons of electronic waste which was then sent to California for recycling. “Partnering with Helena Industries will reduce the carbon footprint of this material, create jobs for Montanans, and reduce the District’s costs compared to our other options,” said Rob Pudner, Recycling Outreach Educator with GSWMD. Common electronic items include computers, monitors, printers, televisions, radios, digital cameras, mobile phones, routers, scanners, fax machines, DVD players, stereos, remote controls, keyboards, set top boxes, servers, tablets, VCR’s, and digital clock radios. “If you’re not sure if something is considered e-waste, give us a call and we can help,” said Pudner. Logan Landfill accepts e-waste during regular business hours (7:30AM – 4:30PM, Monday through Saturday – Winter Hours) for a fee of $27 per ton, with a $5 minimum that covers up to 400 pounds. This fee is waived during the annual Earth Day collection event. Residents of the waste district are encouraged to carpool to save gas and time and avoid long lines. Those with large quantities should call a few days in advance and arrive early. All customers are required to stop at the scale house for detailed instruction. Normal trash rates still apply. For more information, visit https://gallatinsolidwaste.org/ewaste/or call 406-582-2493. The Bozeman Makerspace will be helping repair small appliances and other household items for Gallatin County residents at the first ever Fix-It Clinic on Saturday, May 6, 2017. We will also be joined by The Green Darner, The Bozeman Bike Kitchen, and Owenhouse ACE Hardware. Bring your household items and clothing in need of minor repairs and receive guided assistance to fix them. 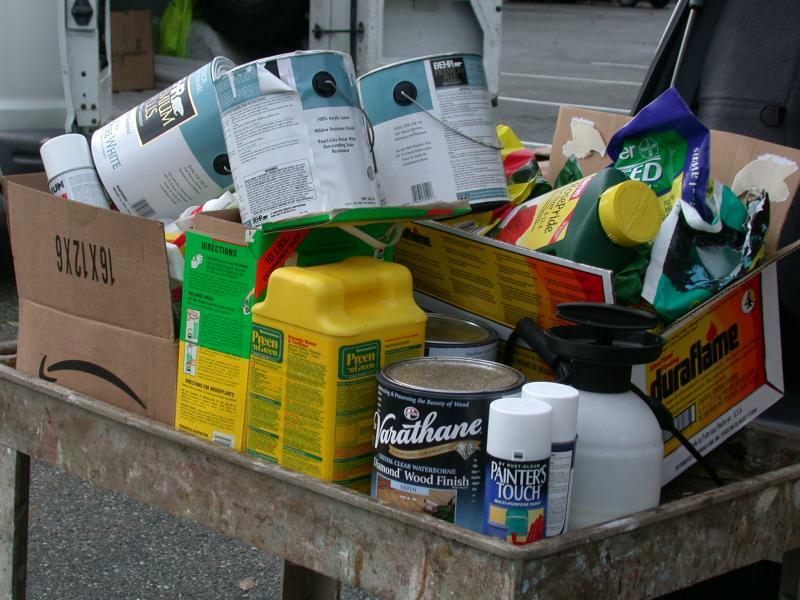 Household Hazardous Waste Collection is scheduled for Saturday, April 8th.